Knowing what to eat and what not to eat before going to the gym can make a big difference to your workout. Your choice of pre-workout food can push you forward or hold you back. It’s as simple as that. It’s not just a case of knowing what to eat before and after the gym though (post workout food). When you eat your pre-workout food is important too. You need to allow your digestive system time to digest it. That’s not as clear cut as it may appear to be either because your body processes some foods faster than others. Portion size is a big consideration as well. When it’s going to be a few hours before you start training you can eat a pretty decent size pre-workout meal. If you are eating an hour or less before you plan on getting all hot and sweaty you will need to make do with a snack. When you make the right choices and time it right, your pre-workout food can help you to train with added zest and focus. It can also boost your strength and help you heal faster. On the other hand, choosing the wrong pre-workout food can ruin your training by making you feel sluggish and tired. Seriously. What you choose to eat before going to the gym can give or a tune-up or throw a spanner into the works. 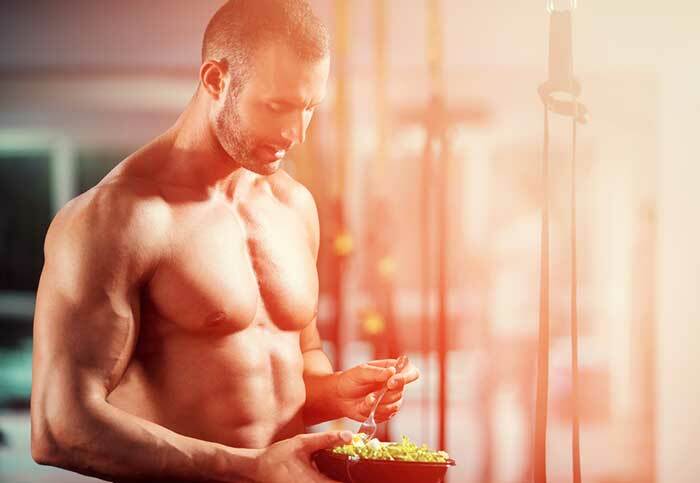 When you are choosing your pre-workout food you need to be sure you’re doing it right. Macronutrients matter. They matter a lot. All three of them provide energy, but fat carries a higher calorie load. That’s why eating too much high-fat food can have you looking like the Michelin Man. So, fat has more than twice as many calories as carbs and protein. It packs a lot of energy. In theory that should make it the most desirable macronutrient for pre-workout food. It’s not. As far as providing energy goes, the best macronutrient is carbs. It’s your body’s primary source of fuel. That’s not to say you have to avoid protein and fat when choosing your pre-workout food. Not entirely anyway. You may be able to eat foods that provide them, it all depends on what time you will be going to the gym. Pre-workout food options that contain carbs are always good. All the time, any time. When you are deciding what to eat before the gym you always need to include carbs. However, it has to be the right type of carbs. It’s okay to have protein in your pre-workout meal if you workout is more than an hour away. Fat is more tricky. If you’re going to be working out less than two hours after you’ve eaten you don’t want it. Portion sizes are also important. 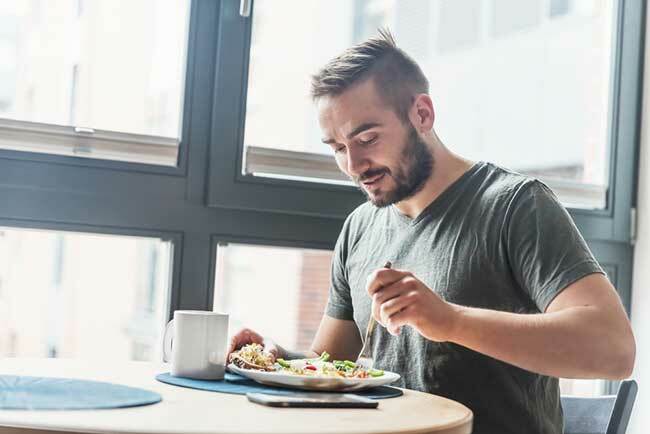 Although it’s okay to eat a reasonably-sized healthy meal two to three hours before a workout it’s not smart to eat too much too soon before you have to get down to business. It will only make you feel sick and bloated and act more like pre-poop out food than pre-workout fodder. If it’s less than two hours before your workout you need to be looking at eating quite a small meal. When it’s less than an hour you don’t want to be eating anything heavier than a snack. The main difference between simple and complex carbs is how fast your body can process them and put the energy to use. Simple carbs are basically sugars. Sources include cakes, soft drinks, and candy. They release fast. The sudden blast of energy (sugar rush) they provide is generally more trouble than it’s worth. By providing your body with more energy than it needs and doing so so fast, simple carbs cause your blood sugar to spike. Complex carbs are harder to digest. They release their energy slowly and are less likely to cause sugar spikes. Complex carbs are good for providing long-lasting energy. They are the best kind of carbs to get from your pre-workout food. They will keep you going for longer. What are some good carb choices you can eat before going to the gym? Try meals or snacks that contain green vegetables, oatmeal, or wholemeal bread. Brown rice is good too, but avoid the white type it may cause your blood sugar to spike. 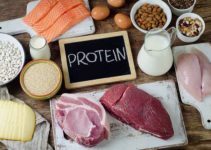 Protein provides four calories per gram, but it’s a pre-workout food that has more to offer than that. It improves protein synthesis and boosts your strength. If you don’t know what complete protein is, you won’t be able to eat it before going to the gym. So, just in case you don’t know, complete protein provides all the essential and non-essential amino acids. Fish, red meat, poultry, and dairy are all good sources of complete protein. As are soy and quinoa. Eat Pre-workout foods that contain it one to three hours before your workout, but concentrate on carbs instead if you only have time for a pre-workout snack. Fat may be full of calories that could help give your workout intensity a push in the right direction, but it takes a long time to digest. For that reason, you need to be very careful about using pre-workout food choices that are rich in fat. If your gym time is less than two hours away, try to stay away from pre-workout food that contains it. Your body won’t be able to take advantage of its calories soon enough. The other problem with fat is, once it’s in your stomach, it can slow the absorption of other nutrients. Eat fat too soon before you go to the gym and the carbs you ate with it may not provide full benefits. Try a meal that includes mackerel or herring. Walnuts are good as well and they are easy to add to a salad or yogurt. Avocados are a good source of healthy fats too, just remember not to overdo it. Sixty minutes is not a long time. What you choose to eat before going to the gym will need to be assimilated fast. So you need to opt for complex carbs that will deliver an ongoing supply of energy while you train. Although it may be tempting to grab a Mar Bar or Snickers, try to resist the urge. All that sugar could deliver a sugar spike that may ruin your workout. Obviously, most foods contain a mix of nutrients so you won’t be able to completely avoid fat. However, eating too much fat so soon before training isn’t going to do you any favours. When you are planning your meal try to choose pre-workout food options that are as low-fat as possible. Wholegrain cereal (Weetabix, Shredded Wheat etc.) with skimmed milk. Because you will be eating quite some time before your workout, it’s okay to eat a more substantial meal. However, you will still need to make healthy pre-workout food choices and avoid going overboard on the calories. A tin of salmon steak with wholewheat pasta and mixed salad. This isn’t rocket science. When you are choosing your pre-workout food the three things to consider are meal timing, portion size, and appropriate food choices. If you are doing some last-minute eating a pre-workout snack that’s rich in complex carbs is the way to go. When you have a little more time a small meal that includes carbs and protein will work better. The protein will help provide extra strength and other benefits that carbs alone cannot. If you have more time at your disposal, you can have a larger pre-workout meal that contains foods that provide carbs, protein, and fat.